It is IPL season and the 12th season is going successful as the teams compete against eachother to win the title and the trophy. CSK has always been people's favourite and often the "Yellove" players are seen doing various tasks and challenges bringing joy to the fans. CSK has been a close-knit team, bonding like family which is often seen. 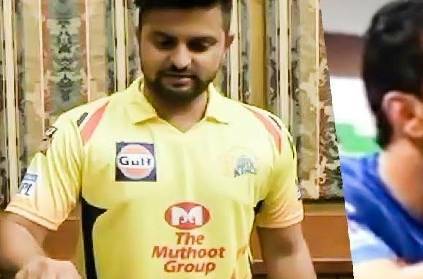 One of the latest fun videos was the CSK players' Tamil writing task. Now the task is to make super dosa, where various players, like Tahir, Jadeja, Raina, Harbhajan Singh, Santner, are seen making dosa. Though they fail miserably in the beginning, they succeeded at the end. Whose dosa would you want to eat? This page contains news relating to various facts and events. The views are generally about current affiars and general topics in diversified areas such as political, international, national, and regional issues, sports, health, travel, lifestyle, technology and business. People having similar interets on the above topics will find this page useful. Watch CSK Players making Super Dosa | Sports News.